tvN’s latest 24-hour express variety show in Asia– You Quiz On The Block (刘在街头) – hosted by Korean National MC Yoo Jae-suk and top Korean comedian Jo Se-ho, will premiere exclusively on tvN in Asia from 30 August (Every Thursday) at 20:30 (GMT+8). The program is Yoo Jae-suk’s first venture into working with tvN, pairing up with his familiar partner, Jo Se-ho, definitely draws audience’s keen attention to their perfect comedic chemistry. You Quiz On the Block is a new concept variety show by tvN, a quiz show that aims at spreading warmth and support to the public. 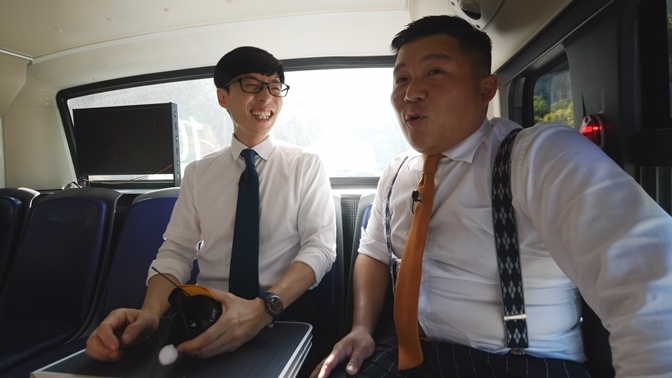 With Yoo Jae-suk and Jo Se-ho entering ordinary people’s daily lives, they will randomly chat with the passer-by along the street and surprise them with pop quizzes. The highlight of the show is the duo will withdraw money straight from the ATM for those who answer all the questions correctly. “It is normal that we feel exhausted in our everyday monotonic lives, so we want to give people a refreshing day, something out of their daily routine,” remarked the production crew. In the latest promotion video, audience can see that the hosts are carrying foldable chairs and wandering along the streets, shouting out “You Quiz?” to anyone they meet. They will then sit wherever they like and start talking to people. There is no limitation to the interviewees, they can be taxi drivers, shop owners, students, the elderly, or clerks, etc. Since everything is improvised, all the unexpected reactions from the interviewees certainly spice up the show, bringing laughter to the audience. 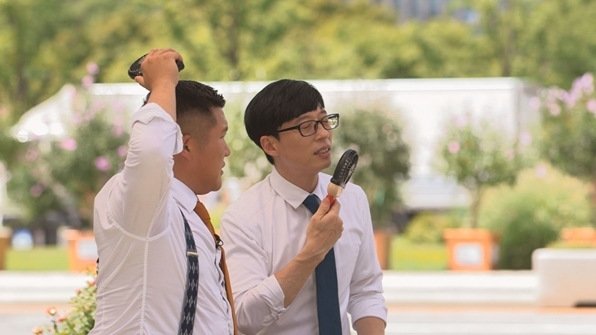 What kind of questions has Yoo Jae-suk and Jo Se-ho prepared to challenge everyone? How many interviewees can successfully win the prizes? Stay tuned to find out more! 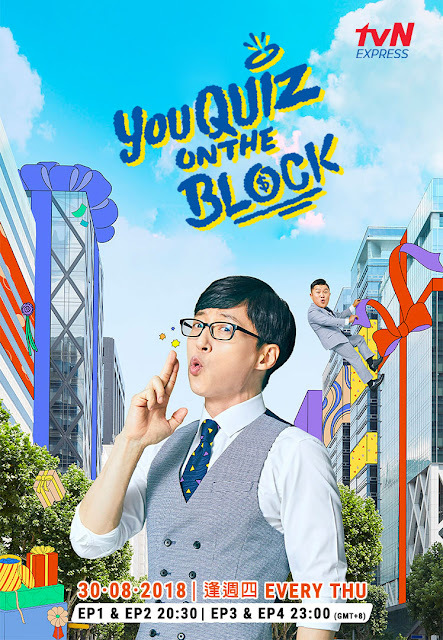 You Quiz On The Block will broadcast on tvN in Asia exclusively and expressly from 30 Aug (Every Thursday) at 20:30 (GMT+8), within 24 hours after its broadcast in Korea. The show is paired with English, Chinese, Bahasa Malaysia and Bahasa Indonesia subtitles. tvN is available in Hong Kong, Singapore, Taiwan, Malaysia, the Philippines, Thailand, Indonesia, Myanmar, and Sri Lanka, with subtitles in English, Chinese, Bahasa Malaysia, Bahasa Indonesia, and Thai. tvN, where fun takes off!